Squier introduces the thunderous new Deluxe Active Jazz Bass V, a value-priced version of the world-famous Fender® Jazz Bass guitar. This sleek five-string beauty has the look and tone that everyone knows and loves, at a price that won’t break the bank. 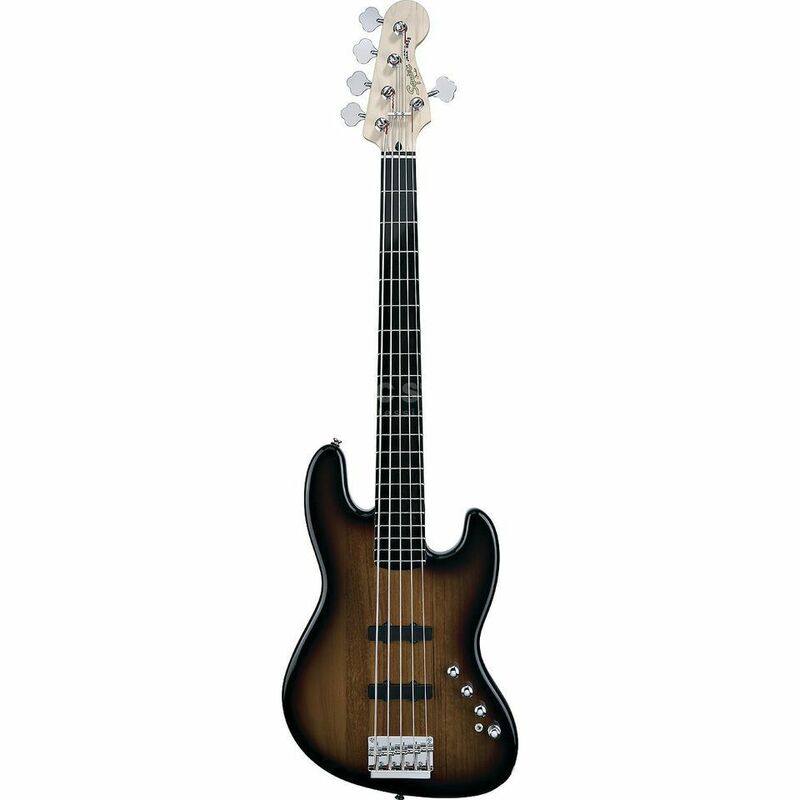 And it’s perfect for the burgeoning five-string player who wants active tone or as a solid backup for any working Fender Jazz Bass aficionado who plays five and would like a low-cost backup instrument in his arsenal. We’re talking active three-band EQ on board with “slap switch” and “blend” control, plus a basswood body in three elegant finishes and a one-piece maple neck with an ebonol fingerboard. You get it—it looks cool, sounds amazing, plays like a dream and won’t set you back a small fortune. It’s one of our best, and you know Squier has your basses covered! Features: Body: Basswood Neck: Maple, C-Shape, (Polyurethane Finish) Fingerboard: Ebonol, 12” Radius (305 mm) No. of Frets: 20 Medium Jumbo Pickups: 2 Single-Coil 5-String Jazz Bass® Pickups (Mid & Bridge) Controls: Master Volume, Blend, Treble, Middle, Bass, Slap Switch Pickup Switching: Blend Control Bridge: Standard 5-Saddle Machine Heads: Standard Open-Gear Tuners, (4-Over / 1-Under) Hardware: Chrome Pickguard: None Scale Length: 34” (864 mm) Width at Nut: 2.008" (51 mm) Unique Features Active Electronics, Quick Release Battery Compartment Side Dot Position Inlays Knurled Chrome Control Knobs Finish: 3 Tone Sunburst !!! 3 years Music Store warranty !! !